We are celebrating the sale of our Tartan 4100 sail boat that has given us a great deal of pleasure for the past 22 years. We would like to thank and commend our broker, Thomas Olive, for his kindness, support and guidance throughout this process. It will be our pleasure to recommend both Tom and Edwards Yacht Sales to anyone who has a vessel that they would like to sell. 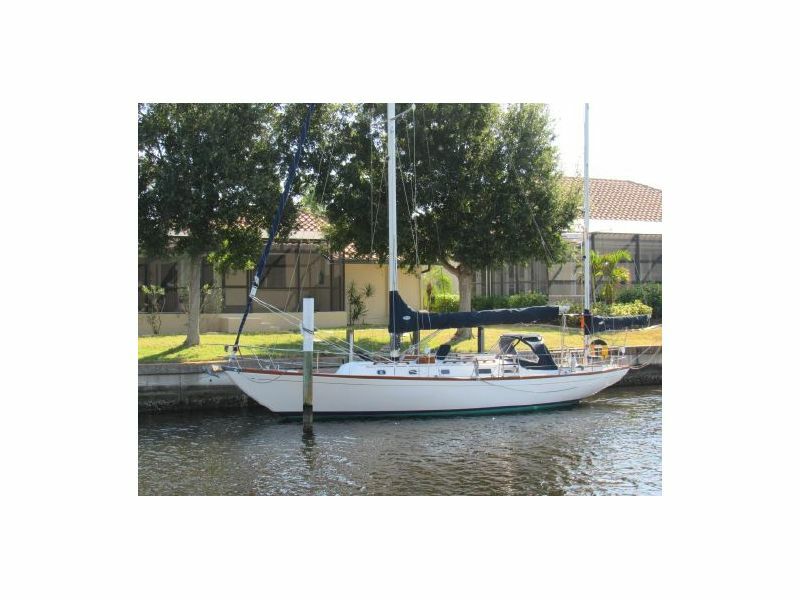 The process of selling our boat would have been impossible except for Tom's knowledge of the complex process of selling a Documented Vessel in Florida. Leo was remarkable. What a pleasure it is to work with someone who knows the history and the insides and out of the American Tug. He’s well connected with American Tugs and was able to get me onto another, privately owned, tug in my area for a first look. He drove from SW Florida to Alabama to meet me for the survey, and was on top of every step of the process. He was literally accessible 24/7 and absolutely had the best follow up. My husband, Jerry and I have been the proud owners of a beautiful Block Island 40 sailboat for many years. Three years ago, we reached the sad conclusion due to health reasons that we would have to sell her. After one hour of posting an ad myself, Melanie Neale reached out to me via a phone call. I knew her family long ago but did not know she was a yacht broker. It seemed fortuitous that we should let Melanie broker our boat. 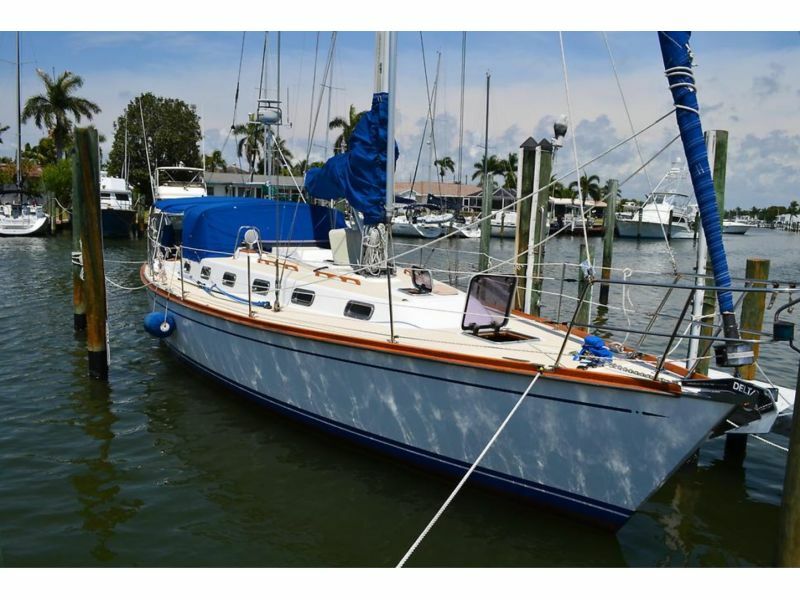 Such a classic boat is not an easy sell in Florida. Melanie did all she could and more to attract the right buyers. We were very concerned that people who would really appreciate her would purchase our boat. Melanie counseled us wisely and regularly throughout the time we had her for sale. This year she skillfully facilitated the sale of our boat to some wonderful and knowledgable people, showing the boat to them several times which involved hours on the road for her. The sale of our boat was beyond practical. It was emotional. Melanie understood that. We are so glad to have been in this partnership with her to pass our boat on to people who would love and care for her. We just wanted you to know how much we appreciated working with someone as skilled and caring as Melanie Sunshine Neale. 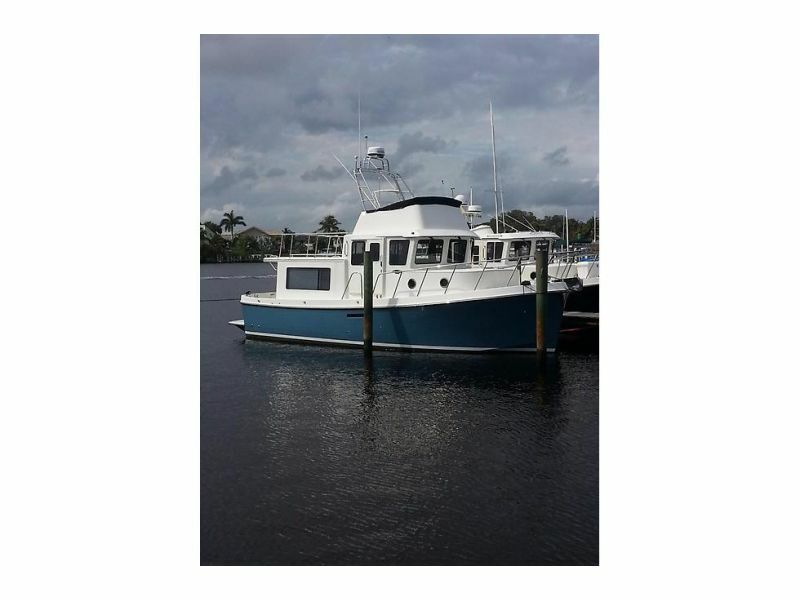 David took over my listing (a Searay Amberjack) after a bad experience with the previous broker. As my new broker, David's first suggestion was to RAISE the asking price as he believed the boat was under-priced. After many offers, missed appointments by potential buyers, sea trials and negotiations, I accepted an offer at ASKING price. By the way, all of this happened while I was out of state, while David handled everything. Leo Thibault was the listing agent for Goosebumps, that I just bought. I had no buyer's broker. Leo was extremely professional, informative, and helpful. Though technically he represented the seller, he went out of his way to bring buyer and seller to closing. I sincerely appreciate his efforts and wholeheartedly would recommend him to anyone buying or selling a boat. There are the folks in the yacht brokerage world who rise to a level that can only be described as "excellence" — like Leo Thibault of Edwards Yacht Sales. My wife and I had the benefit of Leo's expertise helping us find and purchase our 2003 American Tug 34. His deep product knowledge about American Tugs helped give us confidence as we transitioned from sailboats to the purchase of a powerboat. From our initial conversations through survey, negotiations and closing Leo was thoughtful and insightful, and we are grateful. We recommend him unreservedly. Beyond that, what other yacht broker brings home-made, wonderful food to the survey, enough for everyone on board with leftovers to savor and cherish? 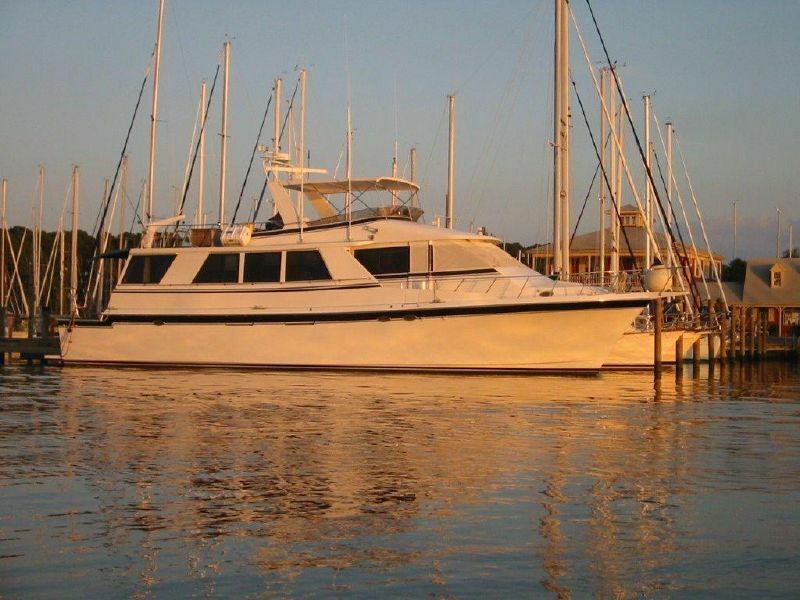 As the Full Time Captain of 'barbobaroo', a Silverton 453 Motor Yacht, I was asked by the owners to put the Boat on the market and get it sold for them. The owners were now in their 80's and the husband's health was deteriorating faster than had been expected and they felt they couldn't enjoy cruising as they had over the past several years. I had been their Captain since they first purchased the boat many years earlier. I immediately contacted Leo Thibault, of Edwards Yacht Sales, to discuss a possible Sale Contract on their behalf. 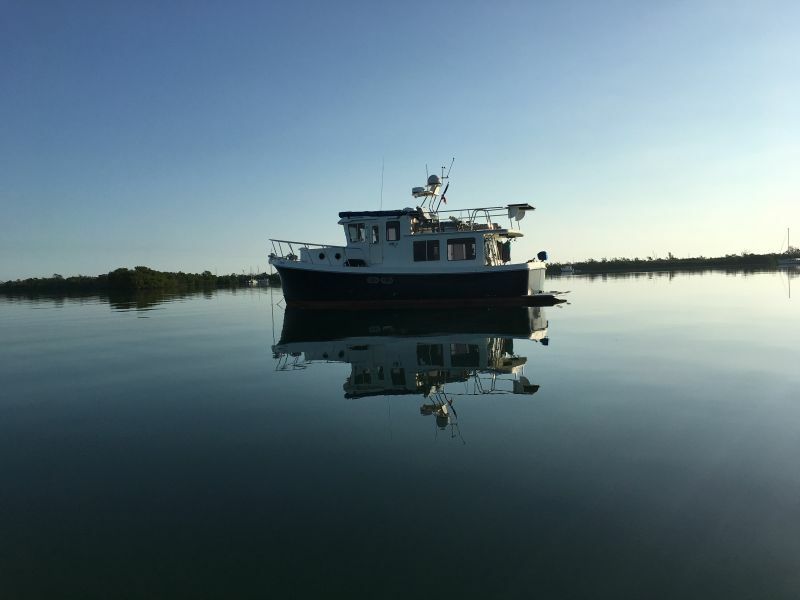 I had dealt with Leo in the past acting as a Delivery Captain for several of his boat sales and therefore I knew him, and Edwards Yacht Sales, extremely well. He immediately took on the task of marketing the boat and his approach to the sale was prompt, professional, detailed and dedicated. The Sale Literature he produced was well presented and placed on the Internet on many Sites which was instrumental in attracting customers from all over the USA and in particular Florida. He assisted greatly on advising on just how to present the boat for any possible showings (a key element of any sale) and he eagerly sought out potential 'buyers' arranging showings on any day of the week. Some other Brokers I know only work 5/6 days a week but not Leo -he worked 24/7 for the benefit of both his sellers and buyers alike- a major credit to his Company. He and his Company made a concerted effort to advertise the Boat and it was not long before potential buyers became interested in the Boat and a Sale was concluded after the third showing - the owners were ecstatic. The buyer was from the other side of the State and made an offer for almost the full asking price. The Survey went as expected and the Sale 'closed' in a matter of days. Monies were received and distributed with ease and all on schedule. I have no hesitation in recommending both Leo and Edwards Yacht Sales to any potential Buyer or Seller - I have never met a more professional Team who produced excellent results in these difficult financial times. We used Kevin Welsh for our transition from mono hull to multihull. We were impressed with all aspects of Kevin’s handling of this difficult and expensive transaction and would not hesitate to recommend him for your boat buying needs. We were entirely satisfied with both Kevin and Edwards Yachts services! I purchased a 64ft Long Range Motor Yacht in Florida in 2004 and from then until July 2017 my Wife and me, plus numerus guests from both the US and the UK, cruised the East Coast of the US, the Bahamas and the Gulf of Mexico. After almost 13 years our circumstances changed and we decided to sell out beloved Boat which had been our Home for all those years. I had been a private Boat Captain for most of those years Captaining boats for various owners on both a Full and Part-Time Basis. 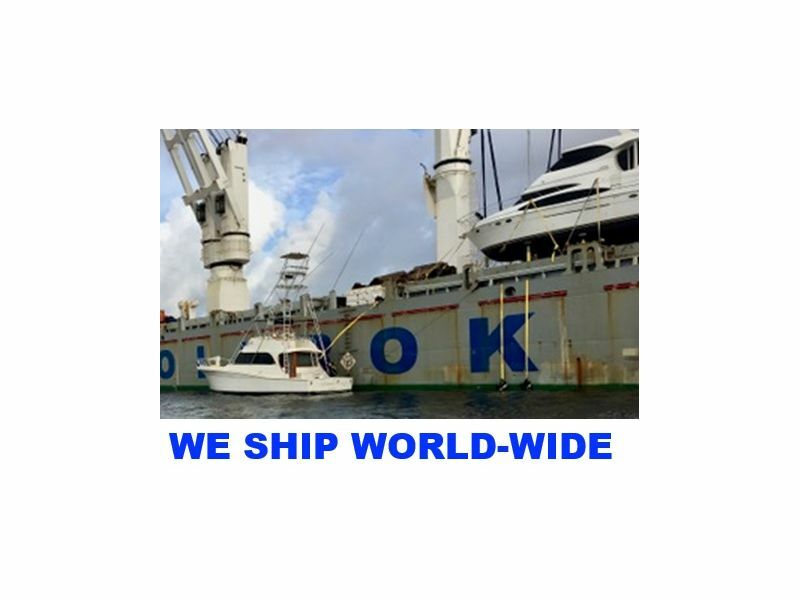 I'd also been a 'Delivery Captain' for the many owners who buy boats and don't have the time, or qualifications, to take them from the purchase Marina to their Home Marina; I had also delivered boats for various overseas owners who needed them delivering to the Port of Departure in either Ft Lauderdale, or Miami. During this time I met many Boat Brokers who worked for various Boat Selling Companies and I had seen numerous methods of operation when it came to selling boats and obtaining suitable/perspective buyers. 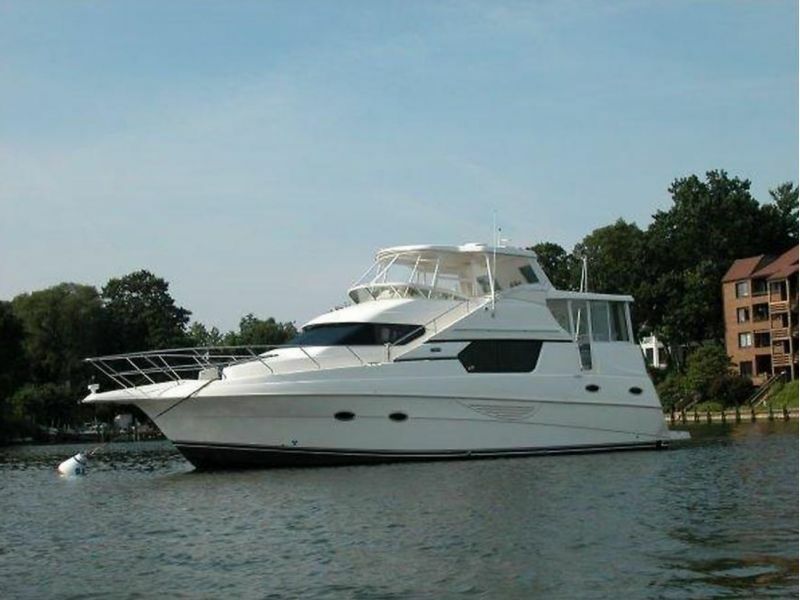 With this vast knowledge on the subject I chose Edwards Yacht Sales and their Broker Leo Thibault to handle the sale of my Boat. He and his Company were well known by me and I had no hesitation in contracting him to act as my Selling Broker. He is a most professional, knowledgeable, and enthusiastic man who is an exceptionally hard working Guy - he works 24/7 for the good of both his Sellers and Buyers alike- not many others I have met come close to his dedication. He immediately took on the task of marketing my boat and his approach to the sale was prompt, professional, detailed and dedicated. The comprehensive Sale Literature he produced was well presented and he ensured the Advert was placed on many Sites on the Internet which was instrumental in attracting suitable customers. The Adverts quickly attracted enquires from all over the USA and in particular Florida: however, the eventual buyer came from California and they had never owned a boat before. Leo immediately arranged showings and within 10 days of the first showing an acceptable offer was made and a survey was arranged; the deal was closed in a matter of weeks and monies received with no problems encountered. I have no hesitation in recommending both Leo and Edwards Yacht Sales to any potential Buyer or Seller. He and his Company make an exceptionally professional 'Team' who produced excellent result on my behalf.